When it comes to income tax deductions, most people don’t look past the obvious real estate taxes and mortgage interest. The tax laws are now so complicated that if you try to do it all on your own, you’ll most probably end up paying way more than you should! 1) Go Green: Going green is not only great for the environment and the future of our planet, it also saves you income tax! If you live in a sunny area, install some solar panels on your house and other properties. You’ll save thousands of dollars on electricity bills and earn credits for the panels. Certain cooling and heating systems also qualify for tax credits. 2) Save for your children’s college: A very small percentage of people open 529 accounts for their kids’ college fees. Since you’ve already paid taxes on the money you’re investing, no taxes are applicable on the returns of that investment, as long as you use the money for funding college education. This is a fantastic way to not only save some money on taxes, but also ensure your kids go to college and live a secure life. It’s difficult to put a price on this, wouldn’t you agree? 3) Put more money into your retirement accounts: This might put a frown on your face initially, but that frown will turn into an “ear-to-ear” smile when you realize how much money you save in the long run! Plus, you’ll have more money when you’re ready to retire. You will be able to travel the world and do the things you’ve always wanted to do! You won’t be sad, broke and angry – you’ll be celebrating life! Money that is transferred to certain types of retirement accounts, such as IRAs and 401Ks is tax deductible, albeit only up to a certain limit. 4) Verify whether you are eligible for earned credit on income tax: Many people have absolutely no idea about this – even though it is possible to save as much as $6,000! If you are a low-to-medium income tax payer, there is a high probability you will qualify for earned tax credit. Anybody who earns less than $50,000 annually should check to be sure they qualify. 5) Don’t pay off your mortgage too early: This one is a bit tricky. On one hand, you want to get out of debt as soon as possible but then you also want to lower your taxes. As you may already know, mortgage interests are tax deductible. There is also the emotional element to consider, since people experience a deep satisfaction when paying off mortgage and this makes the equation even more complicated. Also, you can’t stretch your mortgage too long in a bid to save tax, since the extra interest may balance the money that you’re saving on taxes. So you’ll want to talk to an accountant and plan everything out properly. This will enable you to extract the maximum juice out of the tax laws. 6) Donate or gift money to your loved ones: It is well known charitable donations are tax-deductible. However, they are not the only type of gift that can help you to lower/save taxes. Did you know an individual can receive up to $13,000 dollars tax free? Not only that, but a child can receive up to $26,000 dollars ($13,000 from each parent). This technique is called “gift splitting.” Basically, what this means is that you can save taxes on the money you “gift” to your kids and even other loved ones. 7) Medical expenses are tax deductible: Hopefully, you will always remain healthy and will never have to claim tax benefits due to ill health. However, if you do happen to incur medical expenses, be sure to file all receipts meticulously considering you can save dollars on your taxes. Even basic supplies like bandages are covered and to learn the complete list of supplies and services, log on to www.irs.gov. 8) Become a businessperson: Launching your own business could be your path to financial freedom. Business owners are taxed differently. Entrepreneurs can save a lot more on taxes, especially if they own a home-based business. They save money on depreciation of assets. For example, a company car loses its value each year, so the depreciation can be counted as an expense and is subject to tax deductions. A business person can also choose to keep money in the company’s account instead of withdrawing it as income. If you have an idea brewing in your head for several months or years, it’s time to put it into action. 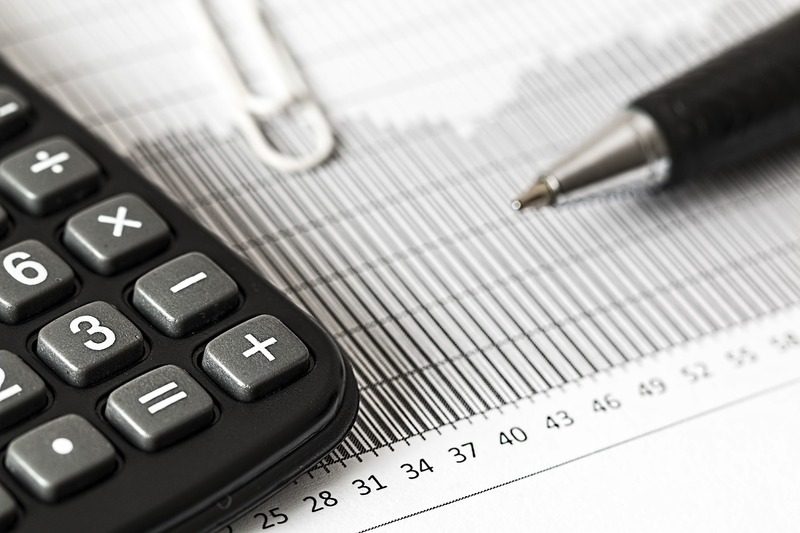 A personal accountant can help you to understand tax laws better and potentially save your business thousands of dollars every year. 9) Your children can help save you money: Normally, your children drain your bank account in a major way. Yet, you are eligible for a plethora of tax benefits if you have children under the age of 17. 10) Alimony payments: They say that every dark cloud has a silver lining. Even failed relationships provide some consolation in the form of tax savings. If you pay alimony to your ex-spouse, the payments are tax deductible. Let’s be honest, tax laws sound like Mandarin Chinese to most people and it can be difficult to interpret them, so many people just avoid them like the flu. However, this escapist attitude can cause them to lose a lot of money. A reputable public accountant can help you to get a grip over your financial situation and even help you to turn around a liability into a potential saving. For example, if you have any worthless securities, then your losses are tax deductible. The only criterion is the security must truly be absolutely worthless. The losses are not just limited to the past financial year. Any losses incurred in the past seven years can be deducted, as long as they haven’t been deducted previously. Even losses incurred in the stock market and mutual funds are eligible for deduction, up to a certain limit. A tax saving expert can rectify these issues, so why wait? Contact Phil Liberatore from IRS Problem Solvers today – it could be the smartest investment you make this year. Previous Previous post: Worried About an IRS Audit? Here’s What You need to know!